Modern worship grown locally then catapulted onto an international stage, Planetshakers is organic to its environment and yet unique to the digital age in which it was born. It is a dedicated team of talented songwriters, musicians and worship leaders boldly leading as one, proclaiming the joy and freedom found in powerful encounter with God. ENDLESS PRAISE marks the 26th live recording to capture the energy, excitement and commitment of Planetshakers City Church of Melbourne, Australia, a church rising up to change the world. Under the direction of pastors Russell and Sam Evans, Planetshakers City Church is one of the fastest-growing churches in Australia and the catalyst for a worldwide movement. An outreach of epic proportions, recently leading more than 200,000 at a single event in Asia, Planetshakers will tour nine states throughout the U.S. in 2014, as well as an astounding 17 countries, including India, Germany, Poland, Korea and Malaysia. 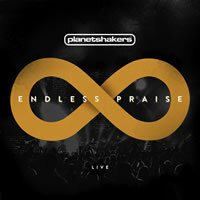 Produced by Joth Hunt for Planetshakers, in partnership with Integrity Music, ENDLESS PRAISE features 14 original songs that reflect the life and worship of Planetshakers City Church and its Awakening conference. Emerging in part from Pastor Russell Evans’ teaching over the course of a year and in preparation for Planetshakers’ annual conference in Melbourne, it’s an anthemic, joy-infused collection forged in a vibrant, celebratory community in the context of an ongoing movement of God. That freedom is palpable. ENDLESS PRAISE gives honor to the One who makes all things possible. From the celebratory title track/ single and video that opens the recording, to the electric-joy explosion that continues with “Turn It Up” and “Dance,” the album gives listeners carte-blanche permission to leave their inhibitions at the door and dance for joy before the Lord. The live DVD that accompanies ENDLESS PRAISE was shot with the spectacular Sony Red HD camera, capturing the Planetshakers experience visually like never before. Planetshakers has also launched a new blog, “The Well” (http://www.planetshakers. com/thewell), aimed at equipping worship leaders around the globe, sharing their Awakening (conference) experiences and what is happening with Planetshakers’ worship teams each week. A recent podcast on the blog, which is also available on iTunes, reflected on a Planetshakers Awakening event in Kuala Lumpur, Malaysia, where more than 1,000 people had to be turned away after the venue and two overflow rooms were packed to capacity. 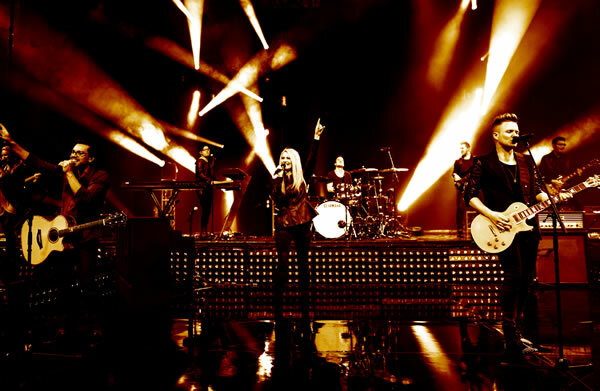 With 26 albums and years of touring under their belts, the Planetshakers’ Awakening is just beginning. God is shattering boundaries, and His Word is touching lives all over the globe.